There is a new way to get more power into your home and the people of the internet are going up against Tesla in the world of POWERWALLS! Apparently a lot and we mean A LOT, of batteries aren’t being recycled, which accounts for a lot of unaccounted for power going to waste. 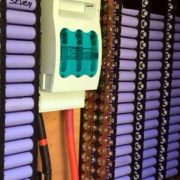 So why not upcycle them and create a powerwall?! View the video above to see exactly how to get more power from your used batteries, just make sure to follow them to a T and don’t miss anything out, otherwise you could get seriously hurt and or burn your house down! Supernumerary Robotic Limbs (SRLs) are not prosthetics, they are extra arms designed to help a user complete a task, an amputee may also use these devices but they are meant to be used as add-ons to your usual arms. You wont be able to start throwing things around like some sort of comic book villain but help people complete tasks that are difficult or irritating, (or well you know needs more than one person) – so imagine carrying lots of boxes or shopping, or holding up a piece of MDF whilst you nail it into the wall or ceiling. 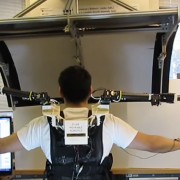 They weigh 10lbs and sit atop your shoulders , each arm has 5 degrees of freedom and you can attach a variety of attachments depending on your task. The SRL’s rely on a pair of inertial measurement units strapped to a users wrists, which then allows the machine to figure out the best position to place itself. It can also be programmed to complete tasks such as pushing an elevator button or opening a door if your hands are full. Is this cool or are we getting lazier as humans? http://wp.freedomofcreation.co.uk/howtokillanhour/wp-content/uploads/sites/65/2017/08/Screen-Shot-2017-08-30-at-17.05.35.png 686 1666 billywright http://wp.freedomofcreation.co.uk/howtokillanhour/wp-content/uploads/sites/65/2017/09/htkah-web-logo-2017.png billywright2017-09-03 00:00:182017-09-06 17:33:27Robotic Arms? 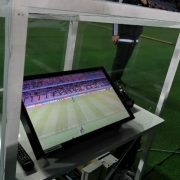 Bundesliga using Video Assistant Referees? MLS began using video assistant referees this month and the Bundesliga, Germany’s top flight began utilising the tech too. All 23 referees within the league will now serve as an assistant video referee during the 2017-2018 campaign. The VAR system is very controversial, slowing down match pace being a huge worry it was used in a penalty situation between Bayern Munich and Bayer Leverkusen. Different leagues may employ the VAR differently but Bundesliga can only apply it in specific situations, 4 to be exact, irregularities in goal decisions, penalties, red cards and if there is mistaken identity when a player is given a red card. http://wp.freedomofcreation.co.uk/howtokillanhour/wp-content/uploads/sites/65/2017/09/ESPN.jpeg 415 738 billywright http://wp.freedomofcreation.co.uk/howtokillanhour/wp-content/uploads/sites/65/2017/09/htkah-web-logo-2017.png billywright2017-09-02 00:00:422017-09-06 17:33:35Bundesliga using Video Assistant Referees? 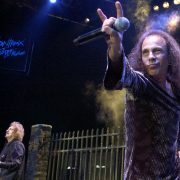 Rock Star Ronnie James Dio passed away in 2010, but thanks to holograms the fomer Black Sabbath Frontman will once again start touring Europe on November 30th before going stateside next spring. The set will change nightly according to Rolling Stone and audio recordings were pulled from his entire career. “He” will also get a backing band each night and some nights “he’ll” have singers Tim “Ripper” Owens (Judas Priest) and Oni Logan (Racer X) alongside him. The stage will go back to thee Sacred Heart and Dream Evil tours, and allegedly the band are booking between 80 and 100 shows. To see how this may look check out the video above! http://wp.freedomofcreation.co.uk/howtokillanhour/wp-content/uploads/sites/65/2017/08/ronnie-james-dio-f032b3310382deb3.jpg 1365 2048 billywright http://wp.freedomofcreation.co.uk/howtokillanhour/wp-content/uploads/sites/65/2017/09/htkah-web-logo-2017.png billywright2017-08-18 00:00:582017-09-06 17:37:44Hologram Rock Tour? 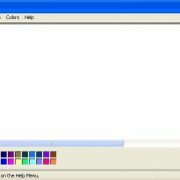 There was a lot of furore online recently with a lot of people upset a the prospect that the Windows Fall Creators Update is taking away MS PAINT?! It’s becoming Paint 3D and has a ton of new 3D capabilities and do all of the things the old paint could do and for free! http://wp.freedomofcreation.co.uk/howtokillanhour/wp-content/uploads/sites/65/2017/08/ms-paint.jpg 406 663 billywright http://wp.freedomofcreation.co.uk/howtokillanhour/wp-content/uploads/sites/65/2017/09/htkah-web-logo-2017.png billywright2017-08-18 00:00:562017-09-06 17:37:49MS PAINT GOING AWAY?! A tech firm in America has developed drones that are able to aim and fire while flying in mid-air. The gun can be fired remotely by remote control and have been designed to with the ideal to reduce military casualties by cutting down the number of troops on the ground. Campaigners have been pretty vocal about the concerns they have about these drones, such as them being mis-used and killing innocent people. 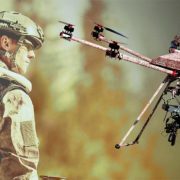 There has already been a lot interest in the drone from several governments but how it will be rolled out in the future will depend on America. This is a really cool new piece of tech that utilises the natural behavior of certain microorganisms to power objects and interfaces, the same way a motor might. BioLogic relies on Bacillus subtilis natto—a bacterium, commonly used in Japanese cooking, that reacts to atmospheric moisture, to create clothing that adjust to it’s wearer breathing rhythm as their body heat and humidity increase and decreases, curling upwards allowing it to ‘breathe’ if it gets to 100% humidity the flaps will be 100% open allowing it to breathe freely. BioLogic have turned natto cells into a film which then was printed on to layers of spandex and turned in to clothing. Different patterns printed onto the cells will create different behaviour patterns. For example, to make the fabric curl it is applied uniformly across the fabric, to make it bend sharply the cells are applied in straight lines. Google have recently announced a standalone Daydream VR headset that will utilise the Tango Augmented Reality system, the way it does this is not with cameras around the room like with a HTC Vive, a head on camera like the Playstation VR but with camera’s built into the headset itself. Calling this tech ‘World Sense’ it allows users to walk around in AR/VR worlds without the fear of walking into walls or falling down the stairs. 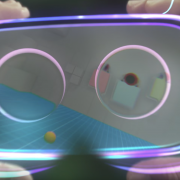 It does support the Daydream controller but it won’t be visible in the VR world nor will it interact with things that are in the Virtual world like much of the other VR systems available today. During the 1st 6months of 2017 Scotland generated enough power by their wind turbines to power Scotland for more power than they actually need for 6 days straight. 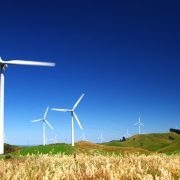 The data was collated by WeatherEnergy and later analysed by WWF Scotland, which concluded that the turbines generated 1,039,001 MWh of electricity in June which is enough energy to power 3M homes! The first six months of 2017 have certainly been incredible for renewables, with wind turbines alone helping to ensure millions of tonnes of climate-damaging carbon emissions were avoided. Scotland is continuing to break records on renewable electricity, attracting investment, creating jobs and tackling climate change. If we want to reap the same rewards in the transport and heating sectors, we need the Scottish Government to put in place strong policies on energy efficiency and transport in the forthcoming Climate Change Bill. It’s great to see this data confirm that Scotland is knocking it out of the park on wind power with total output for June in particular up on the same period compared to the past two years. There’s no doubt renewables are helping households increasingly avoid fossil fuels for their electricity needs. 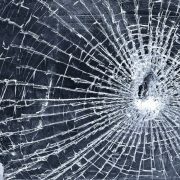 University of Melbourne researchers are probably going to save a lot of people a lot of money, by developing a self healing gel that could prevent phone screens from permanent damage. After printing, these objects can heal a crack or even a cut and regain their original strength. This could enable custom printing of coatings that can heal after breakages, potentially as coatings for mobile phones. The materials we developed can also change shape when triggered by being swollen in a solvent, such as water. This enables printed objects to change shape once printed, which is known as 4D printing. http://wp.freedomofcreation.co.uk/howtokillanhour/wp-content/uploads/sites/65/2017/08/173652050fec63ed45a8f9a9ab2e9b81.jpg 1200 1920 billywright http://wp.freedomofcreation.co.uk/howtokillanhour/wp-content/uploads/sites/65/2017/09/htkah-web-logo-2017.png billywright2017-08-16 00:00:272017-09-06 17:43:20Self Healing Phones?